Yes, a captivating title if, perhaps, a little mysterious. Well, I been using the Raspberry Pi for almost a year now and although it's very limited in terms of hardware power, it's an awful lot of fun trying to get acceptable performance out of this tiny, and very cheap, box. The immense success of this little machine is testimony to the inventiveness of the computer hobbyist community. 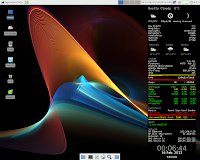 I've played with a number of OSes on the RPi and these include Fedora 17 RC2. It works well although it's not quite as smooth and polished as is Raspbian. 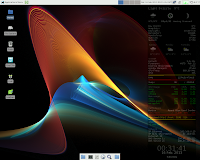 I've already posted about the problems I had getting Conky to "play nice" in Fedora/xfce. 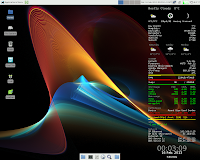 Actually, whatever problems I had with Conky are almost certainly the fault of the xfce DE rather than Fedora itself. When I posted before, the main problem with Conky in this environment was launching Conky always made the desktop icons invisible. 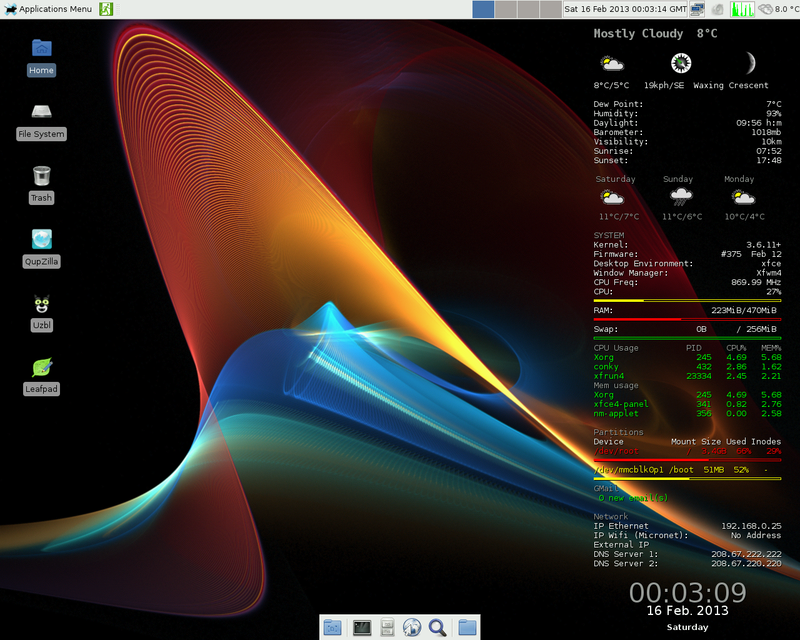 In addition, with certain .conkyrc configurations the Conky colors were very different from what I had intended. As I use a color-coded Conky to alert me to unusual activity in my OS, this is a serious defect. Well, I've made some, but not complete, progress in this area. i) As usual it is always critical for Conky to have the compositor enabled. 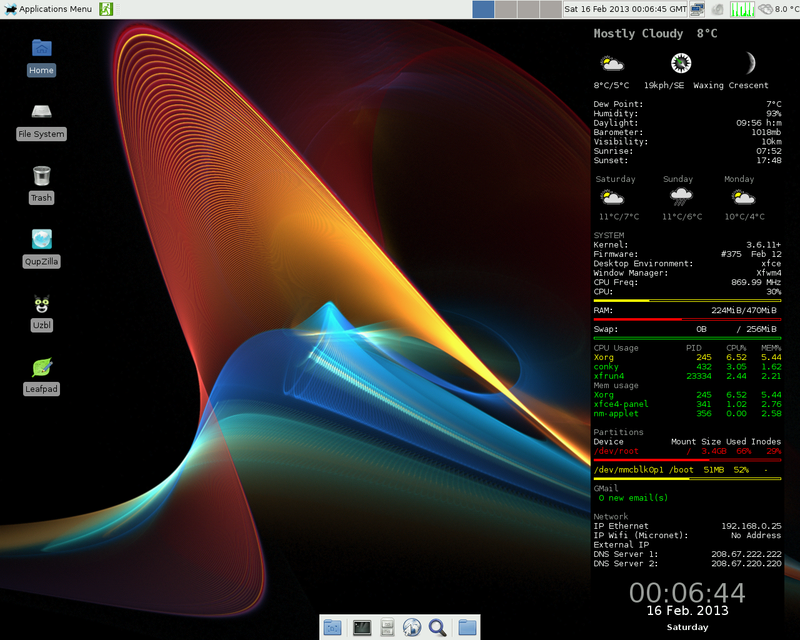 conky displays in a black window as shown in the screenshot with all of the desktop icons fully visible. the conky background becomes gloriously transparent as the next screenshot afirms. Unfortunately, for reasons I cannot as yet explains, when the Gmail portion of the conky display shows a change in status (a change in number of new emails including when it reverts to '0' after opening new mail) the background turns black yet again. Of course, issuing the above 'killall xfwm4' command brings back the transparency although this can be a bit of a pain if you get a lot of emails. You can ease the problem to a small extent by making a keyboard shortcut (see section vi) for the above command. the conky window shows as 'partially' transparent, and once again without losing the icons. See the third screenshot opposite. Unfortunately, by reducing the opacity of the window, you also reduce the opacity (and therefore the visibility) of the font too. Nevertheless, this option not only keeps the desktop icons but also is unaffected by incoming email. So, as yet a 'perfect' solution is not available but it's not at all too bad. My personal preference is for the own_window_type override option despite the annoyance of having to refresh the WM on receipt of emails.